With an impressive array of satisfied customers that include Railways and its subsidiaries, leading players in the Oil and Refinery industries and other leading Government and Private Sector EPCC companies, CMI has a robust pipeline of new products which are highly specialized for application in critical areas in the various sectors. Amit Jain, CMD, CMI Ltd. throws light on the company’s future plans and potential opportunities, in an interview with Shashidhar V.
Amit Jain, Managing Director, CMI Ltd.
What are your thoughts on the current market condition for Cables and Wires in the country? The industry, today, is more than `36,000-crore, and is expected to grow to `64,000-crore by 2020. This is primarily because of huge government and private investment planned in segments such as smart cities, modernization of railways, highways, digital India campaign and Non-conventional power generation and the ‘Power for all by 2022’ initiative undertaken by the government. The future looks bright and will provide immense opportunities for all the players and will benefit the industry. How has the market condition influenced your company’s performance? What has been the YoY growth of your company? We are expecting that the industry that has been growing at the rate of around 15 percent currently will start growing at the CAGR of around 20 percent over the next five years. As a company, CMI limited has been outperforming the industry by achieving growth rate of 25 percent CAGR and we hope to continue doing so over the next five years. What is the real growth target – post inflation – that you are looking at? Would we look at a double-digit revenue growth? We are hopeful of closing this financial year with consolidated revenues of `450-`500 crore as against the revenue of `346-crore in the last financial year, and we are well on the route to achieving our target revenues of `1,000-crore over the next 3-4 years time. Which industry vertical do you see a growth? Every segment in Infrastructure, be it Railways, Power Generation (Conventional / Non-conventional), Power Transmission and Distribution, provides immense opportunity for the wire and cable industry. The Government’s focus on strengthening infrastructure in the country will always require a bigger focus on electrification, which is propelling growth in the segment. The Ministry of Power projects will always require cables and wires and CMI’s growth will be spurred by these initiatives. In addition to this, Railways, which contributes to over 60 percent of CMI’s revenues, has also announced a capex of `1.21-Lakh crore for expansion and modernization. These initiatives will also exponentially explode the market in the segments that CMI operates in. And, what would you say will be the catalyst for uptick in your business? Superior Quality and Technology are the key catalysts in our value offerings. We have already put in place the most modern technology in Baddi facility that we acquired last year, which is possibly the best in the industry. We are amongst very few companies in the country to manufacture the maximum range of cables being used and will hope to be able to reap rich dividends from the investments made. At CMI, we continuously invest in our research and development facilities to meet customer demands and come up with cables that can meet the highest safety standards for its intended applications. Considering that you see a strong growth in the Railways industry segment (CAGR of 88 percent over 2013-16), do we take it that there will now be a shift to that market segment? Huge outlay by the government of India on infrastructure, focus on reducing T&D losses and electricity for all by 2022, the power sector is expected to grow at fastest at 47-50 percent CAGR and would be the focus area of the company in the near future. Railways contribute around 60 percent to our revenues currently, and is likely to be a large contributor to our top line in the future as well. So, taking into consideration the huge potential that the power sector offers going ahead, how are you placed to tap into this opportunity? Ministry of Power is looking at an investment of `15,000-lakh crore over the next five years. The sector will witness a huge growth trajectory. In 2017, Power Cables comprised of around 40 percent of the total wire and cable market. The power segment is expected to grow the fastest at 47-50 percent CAGR, driven by large government spending on power transmission and distribution. We hope to reap a sizeable part of the business in this category. As of now, CMI Limited’s 12 percent revenue comes from the power sector. We expect that the power industry’s share of our revenues will rise up to around 20 percent and the real numbers will possibly double with the increased demand. Are you also present in the EHV cables business? One of your competitors, Finolex, for instance, has huge business potential in this segment? CMI manufactures over 1000 varieties of cables, targeted at almost all sectors and have been manufacturing Extra Heavy Voltage (EHV) cables for voltage grade of 66/110/132 KV. Railways and power sector are our potential clients in this segment. The Optic Fibre cables market seems to have gotten a boost driven by the government’s digitisation drive. What is your exposure to this market? According to a report, the OFC market in India is expected to grow at a CAGR of over 13 percent during 2017-2021. Demand is driven by nationwide connectivity projects and rollout of 4G by telecom giants. The Next-gen technologies, such as LTE and FTTx, which require last mile connectivity, is also expected to propel the demand for OFCs. We, at CMI, are geared up to tap this avenue and have special category of polythene insulated jelly filled telecom cables (PJIF) to cater to this segment. Some of your competitors are expanding their product portfolios by incorporating consumer electrical products, which would give them space for pricing power. Are you too planning something on this front? As of now, we are focusing on our B2B business and our existing product portfolios and businesses, but nobody can predict what the future will hold for us. Considering that some of the other larger players have diversified into different categories, which plays an important role if an electrical company needs to outperform the industry, aren’t you losing out in the long run? We already have a widely diversified product portfolio and produce more than 1000 types of wires and cables. We are already present across sectors – Railways, Power, EPCC Contractors, Oil & Refinery, Engineering, and Infrastructure being some of them. We are poised to take on the future at our own terms and come up on top and continue to grow. We only see an upside for our business and no downside. The government has planned 100 smart cities. How are you taking advantage of this initiative? We are well equipped to handle any requirement that may arise to facilitate smooth functioning of power in the smart city projects. 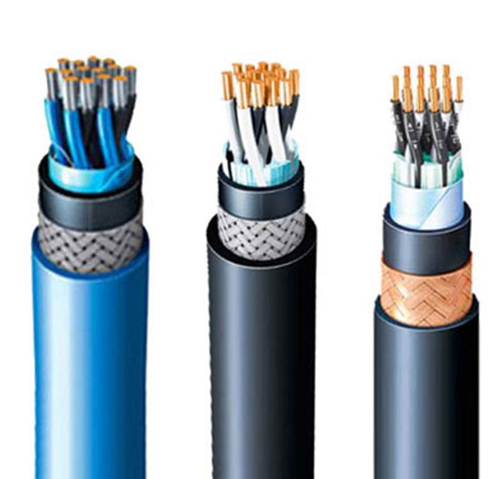 We have a portfolio of cables to cater to power, home, and telecom, etc. for a smart city development. To what extent has the fluctuating copper prices impacted your cables business revenues? The fluctuation of copper prices and the recent rally in copper prices in the global market is – and will remain – a cause of concern, since our input costs increases. This leads to higher cost of purchase, which we are not really able to realize from customers, since most of the business accrues through tenders where the pricing is pre-decided. Our margins, therefore, suffer with any upward movement of base metal prices. Would you throw light on your exports? We are currently exporting cables to Sri Lanka, Bangladesh and Iran Railways. The cables exported were approximately around `18-cr, around 5.0 percent of our revenue in the last fiscal. Besides this, we have also exported to Switzerland, Japan, and Singapore. Building wiring cables have been exported to Myanmar, UAE, and Qatar, to name a few countries. We have also participated in few tenders in Oil & Refinery industry overseas. We are sure that going forward, exports will be a sizeable part of our business in the next 2-3 years time-frame. We are expecting to increase this to a more substantial level. Competition and technological obsolescence are some of the challenges that even leading players face. What are the steps and strategic decisions that you need to take (and have taken) to continue to maintain the healthy market share? Research and development is most important in any field of manufacturing activity. We at CMI continuously keep ourselves updated with the development in the industry within the country and abroad, and with new requirements of the customer, and keep producing cables as per customer requirements. We are putting in a good portion of our revenues in R&D activities, including putting in the most modern plant and machinery and trying new raw materials. We invest approximately 4.0 percent of our revenues on R&D activities including updating/modernizing of plant and machinery and trying new raw materials. What is the capacity of your existing plant(s)? And, are there any expansion plans in the offing? In November 2015, we acquired the facility of General Cables Energy India Pvt. Ltd., a fully-owned subsidiary of General Cable Corporation (GCC), a Fortune 500 company. With this acquisition, we have exponentially increased our manufacturing capabilities. Over the next few years, this acquisition has the potential of adding around `1,000-crore to our top-line. 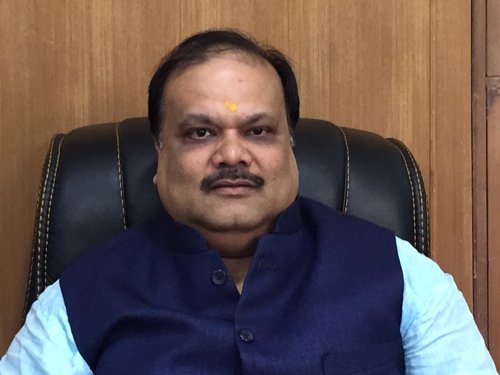 Our priority as of now is to only focus on putting our two facilities – Baddi and Faridabad – into a higher gear. Do we see CMI growing organically? Any new industry verticals – besides Railways – that you would be entering going ahead? No. We have already invested substantially in our acquisition of what is probably the most modern wire and cable facility in India. Our current focus is on consolidating our current client base and exploring more avenues that open up. Railways happen to be our largest customer and since there is a huge opportunity in expansion and modernisation of the Railways, we are bullish on this sector. We are hopeful that with our existing products, current certifications and newer innovations, we will be able to get a sizeable chunk of this business. Another segment which has a huge potential is the power segment, which amounts for approximately 12 percent of our revenue and we are hoping that it will increase exponentially keeping in mind the huge announcements in Infra and Power sectors by the Government. Would you be setting up a new plant for the same, or utilising the existing facilities? As discussed earlier, our two facilities are more than equipped to take us on to the next level, so we are not planning on any further capex right now. In a competitive market space, how do you plan to sustain your growth in the coming days? We have always been able to carve a niche for ourselves because we focus on the better products lines and R&D according to the current market requirements and future trends. We are always going in for newer certifications and processes that allow us deeper entries into client requirements. In fact, we are perceived as innovators in our category, since we are able to not only produce better products but also give suggestions as to the products that can be developed to our customers for different applications. We have Indian and global certifications in place and have been able to crack the global market successfully. How do you view the emerging opportunities going ahead? How optimistic are you on FY18 growth and there on? The future looks optimistic and we expect the industry to grow exponentially. With huge outlays envisaged in infra, power, railways, smart cities and related verticals, the wire and cable industry is on the growth curve. We, as an organisation, are very optimistic and looking forward to be a part of this journey. We have been outperforming the industry consistently over the last five years. We hope to continue doing so, over the next five years as well. Last year, we grew at a scorching pace and this year also, so far, it looks good. Our current focus is on consolidating our current client base and exploring more avenues that open up. Railways happen to be our largest customer and since there is a huge opportunity in expansion and modernisation of the Railways, we are bullish on this sector.